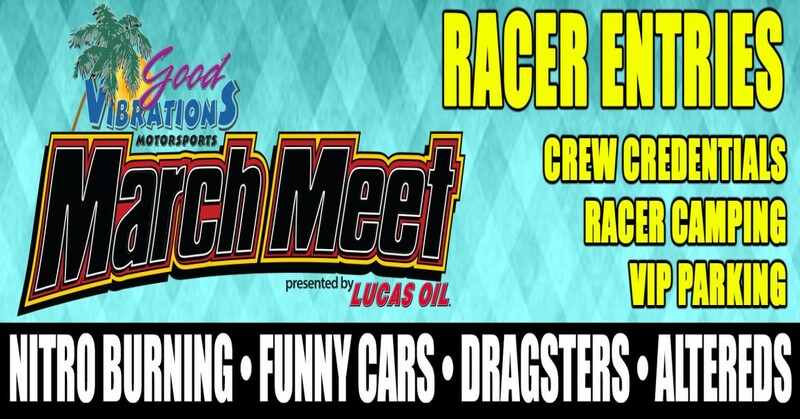 Racer & Crew Credentials for the World famous 2019 Good Vibrations Motorsports March Meet presented by Lucas Oil at Auto Club Famoso Raceway. Celebrating 61 years of quarter mile drag racing. RACERS - IF YOU WISH TO PIT TOGETHER - You can coordinate with friends and other competitors by purchasing your entries together on one transaction.